If you’re claustrophobic and have an aversion to sitting in close quarters, Yin Ji Chang Fen is not a restaurant to visit. Each table’s real estate is used to capacity – during peak periods a table that fits four will not be given to three – so it’s best to go in even numbers. 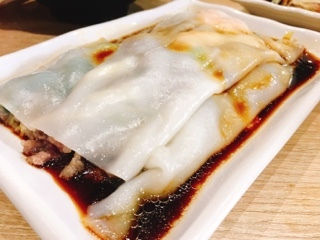 What makes people return is Yin Ji’s chang fen or rice noodle rolls. Unlike the versions you find at dim sum, Yin Ji’s is thin yet still retains a hint of elasticity to resist breaking. Each order arrives as one massive rice noodle that’s filled with toppings. The marinated beef and shrimp rice roll ($5.75) incorporated diced pieces of soy sauce laced beef (as opposed to the soft patty found elsewhere) studded with plump shrimp. 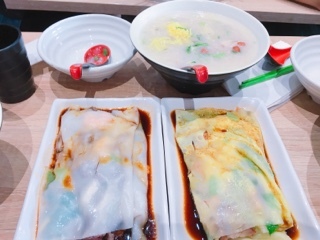 You can add an egg coating (additional $1.25), which gives it a light wash on top of the actual rice noodle. 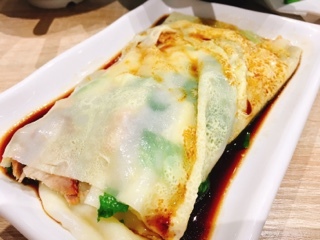 Having had it with the BBQ pork and chive roll ($4.75), it does give the dish an added depth of flavour (and perhaps helps the soy sauce stick better), but takes away from the silky feeling of the rice roll itself. 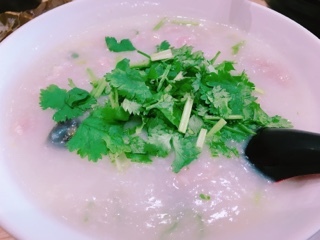 Most people also add on a bowl of congee - the typical order seems to be a congee and chang fen per diner - and their Lai Wan ($5.50) version is popular. There’s the customary seafood (shrimp and white fish), since Lai Wan is a seaside village in China, but also includes BBQ pork slices, pork rind slivers, crunchy peanuts, thinly sliced egg, and a hefty dose of parsley (in lieu of spring onions) that really awakens the congee. Their shredded pork and gold preserved egg congee ($5) was also decent, with enough of each ingredient. 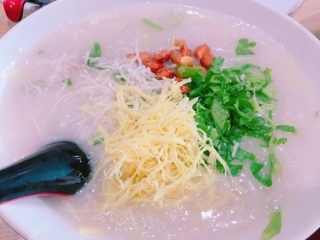 Some reviewers find their congee bland, but I found it adequately seasoned and the abundant toppings give it sufficient flavours - it’s not out-of-this-world but at $5 a bowl is good enough. The menu includes other dim sum as well. 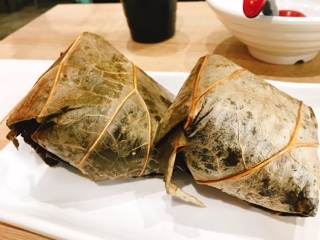 Their sticky rice wrap ($4.50) arrives two to an order, each almost double the miniature versions found at dim sum restaurants. The glutinous rice is filled with mostly meat (seems to be pork in lieu of the traditional chicken) and arrives piping hot. From the moment you enter, there’s a sense of frenzy … as if you’ve stepped into a night market street vendor instead of a strip mall in Markham. The environment takes some getting used to, but that chang fen … once you’ve had it a Yin Ji, dim sum will never be the same again.